Size: 2T, Color: White/Pink is currently out of stock! 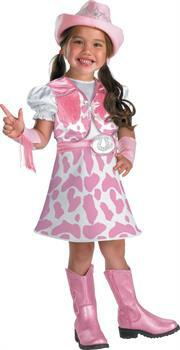 Size: 3T-4T, Color: White/Pink is currently out of stock! Includes: dress with attached vest and belt with silver buckle, hat and wrist cuffs that are detachable.